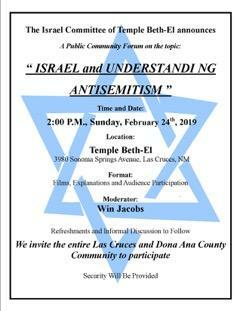 Las Cruces Event: "Israel And Understanding Anti-Semitism"
Today’s news reports that anti-Semitism is growing nationally and internationally. The forum will consider a new form of anti-Semitism that is eclipsing the religious and racial forms of the past. It focuses on undermining the right of the Jewish people to a nation of their own, and seeks to weaken Israel’s status and survival in a variety of ways. 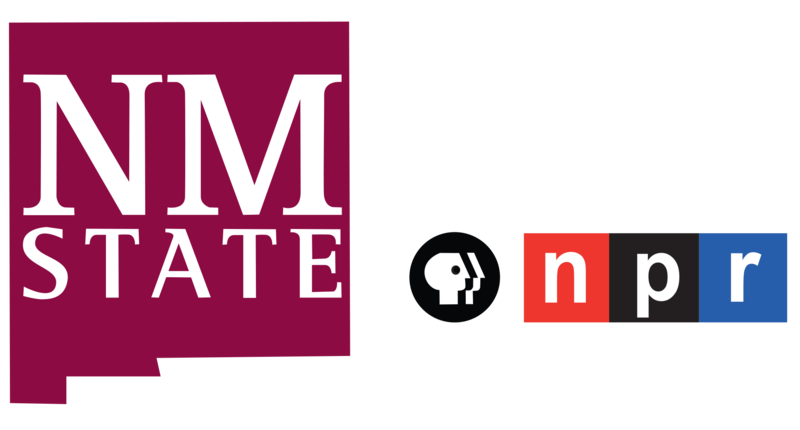 The event will feature compelling videos, expert commentary, and audience participation to help attendees understand the concept of new anti-Semitism. It will consider implications of this new challenge on the local, national and international levels. Its impact on Jews and on all Americans will be emphasized. The entire Las Cruces and Doña County community is invited to participate. The event is free, and will include refreshments and informal discussion. It is suitable for all ages. Security will be provided. If you have questions, contact Phil Alkon, at 575-524-6945, or philipalkon@gmail.com.